Orange sky, orange mom ... This bright color always gives us joy and a smile. A bowl of glass, painted in orange, is decorated with rhombuses from rhinestones. 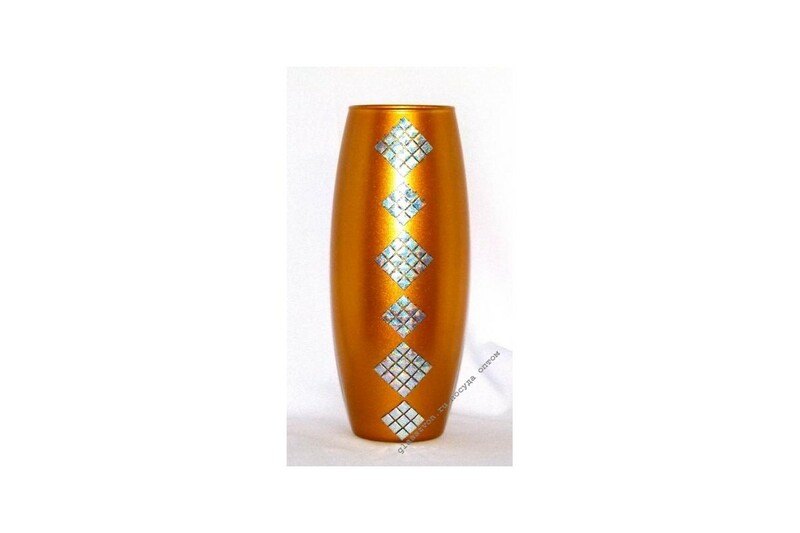 This vase is one of the most popular in our assortment. 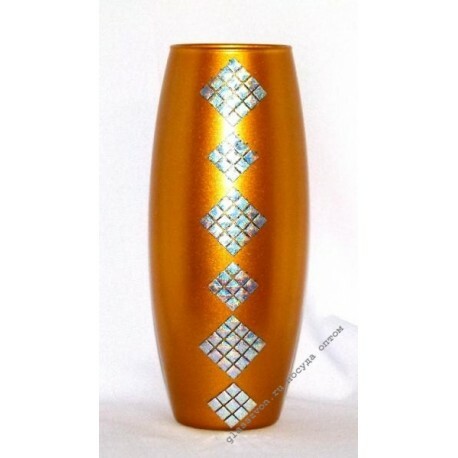 When ordering this or any other vases in bulk , Rostov-on-Don, Moscow and Novosibirsk can be assured that, that they will receive good quality goods in good condition. We are not limited in the geography of our customers and will deliver you products made of glass and crystal in any city! Before you take your order to the transport company, we carefully pack the cargo for its safety.